BlackWidow Ultimate 2016, the latest generation of Razer's iconic battle-tested elite mechanical gaming keyboard. 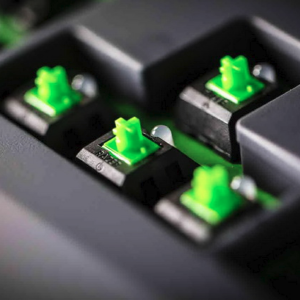 Built around Razer's award-winning Mechanical Switches designed from the ground up for hard-core gaming. The crisp, tactile feel, responsiveness and consistency deliver a unique unfair gaming advantage. 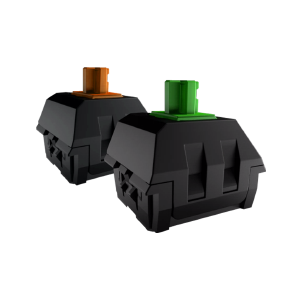 Extreme Durability- Razer mechanical switches are rated up to 60 million keystrokes and come with a 2-year warranty. 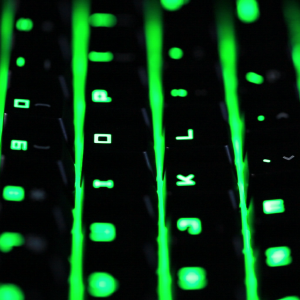 Individually programmable backlit keys with 5 dynamic lighting options in stunning Razer Green. Easily program keys, design custom lighting, download pro configurations, synchronize all Razer devices and store settings on the cloud with Razer Synapse software. Pass-through USB 3.0 and headset jack. Full Anti-Ghosting with 10 key roll-over. 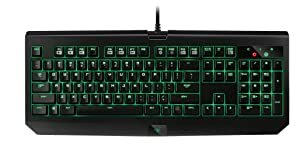 The Razer BlackWidow Ultimate features the all-new Razer Mechanical Switches which were designed from the ground up to elevate the speed and responsiveness of the Razer BlackWidow gaming keyboard beyond the capabilities of previous generation mechanical switches. The individually backlit fully programmable keys allow for advanced dynamic lighting effects that allow gamers to take complete control of the keyboard’s lighting system for a truly personalized gaming experience. No matter how intense your gaming marathons get, each Razer Mechanical Switch is engineered to withstand up to 60 million keystrokes, so you’ll enjoy the Razer advantage for years. 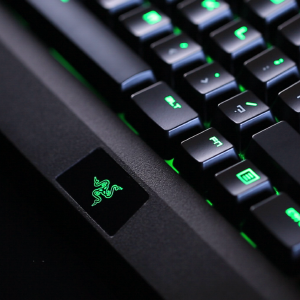 Razer Synapse is a cutting-edge, intuitive software that functions as the Razer BlackWidow Ultimate’s brain. Sync your personal lighting settings ranging from Breathing, Reactive, Ripple, Wave or Starlight – automatically with this unified cloud-based configurator. The Razer BlackWidow Ultimate now features an improved top cover textured finish that is smudge free to keep fingerprints away and allow for easy maintenance. 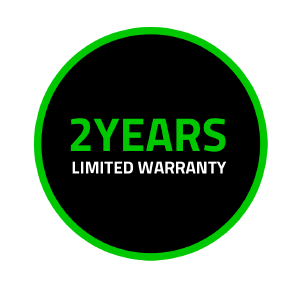 The Razer BlackWidow Ultimate 2016 features an extended warranty of 2 years, so you can enjoy the Razer advantage for longer.